Cosplay is an awesome hobby but sometimes newcomers are intimidated because they think all the materials are really expensive. 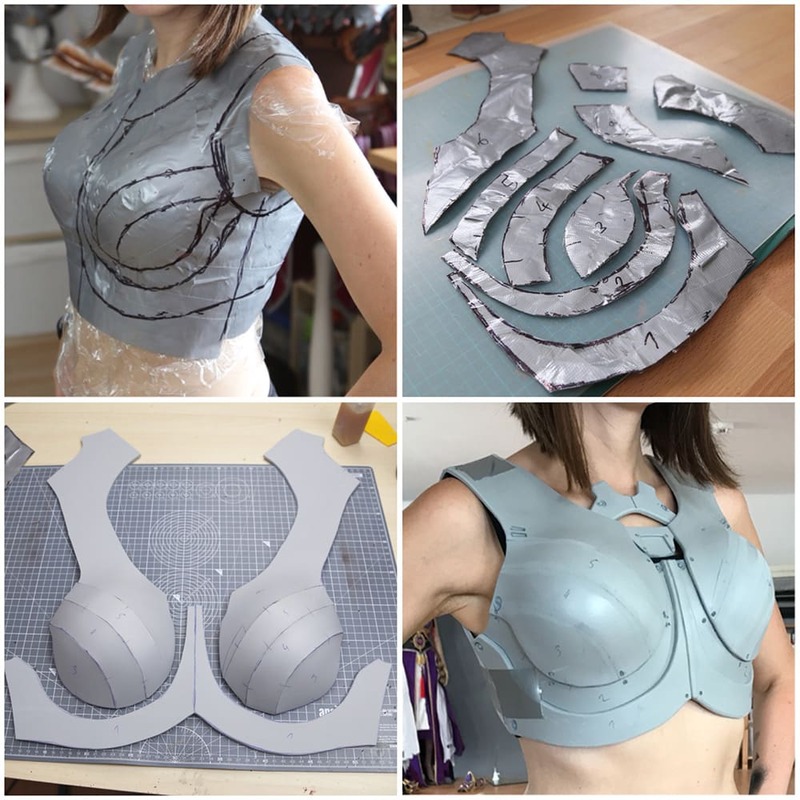 While Worbla is a great solution to create armor and props with, this time I would like to talk about the super affordable alternative EVA foam. It’s cheap, widely available and just as fun to work with! You might have noticed that many of my costumes in the past where made mostly with the brown thermoplastic Worbla. I got a little bit bored with it after a while though and switched to EVA foam, which gives me not only new challenges but also forces me to learn new techniques! 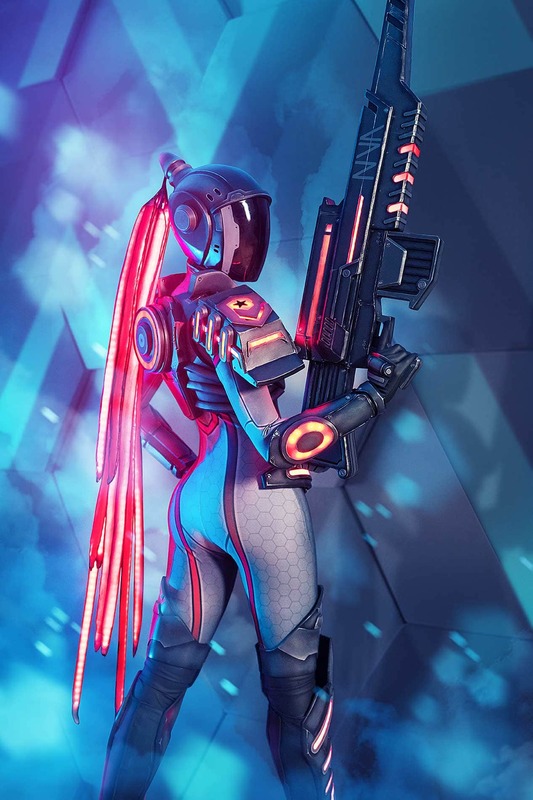 So one of my latest projects was the Erazer Girl, a commissioned costume for the German computer manufacturer Medion. 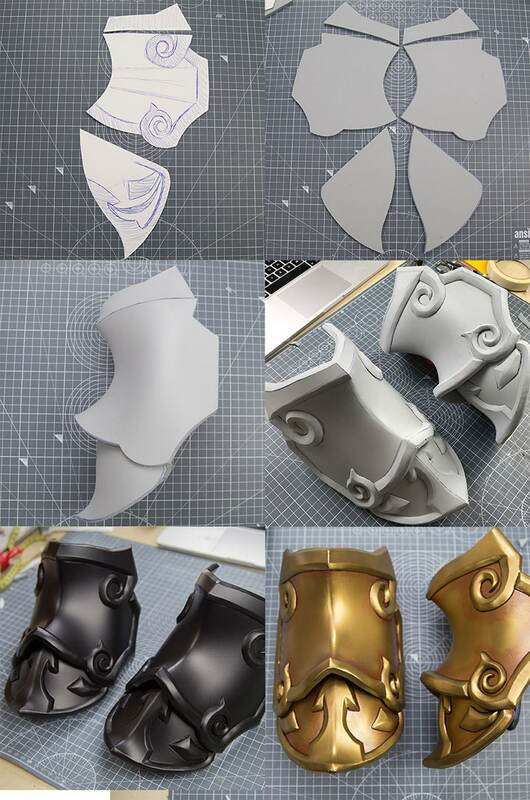 The whole armor was completely built out of simple EVA foam in different thicknesses and therefore I was able to keep the material costs pretty low. 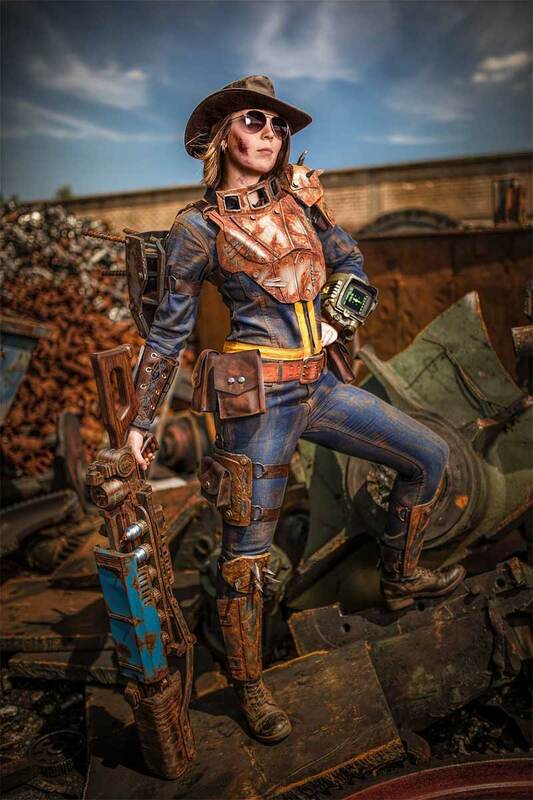 Another project was my Sole Survivor from the video-game Fallout 4, which was my first complete foam costume and the first time I applied the rusting technique featured in my Advanced Painting Book. I really like how these costumes turned out! 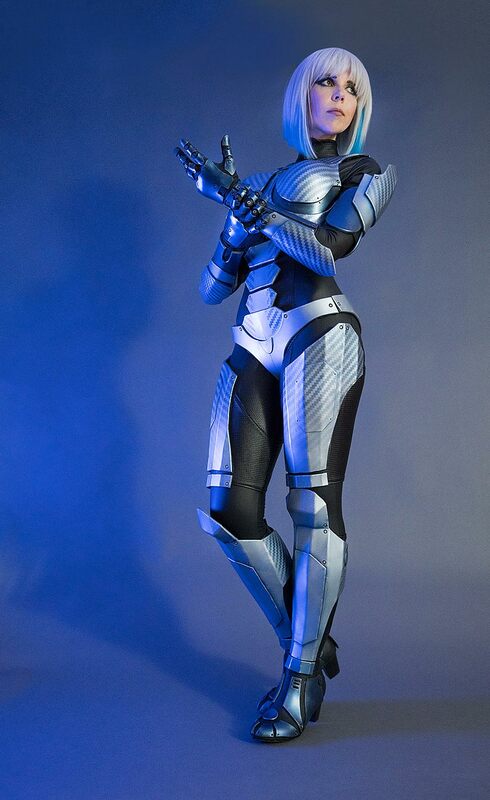 Plus: Their armor cost me maybe $50 to $100 in total using mainly EVA foam! My other costumes in comparison were a lot pricer, less comfortable to wear and more challenging to transport. 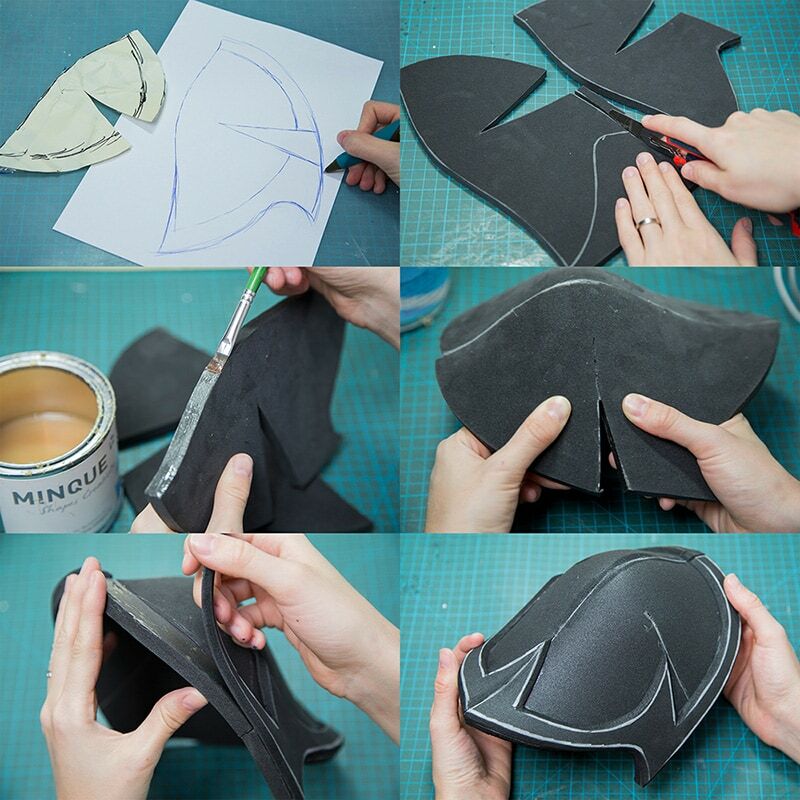 So, if you’re searching for a good alternative to Worbla, think about switching to EVA foam! 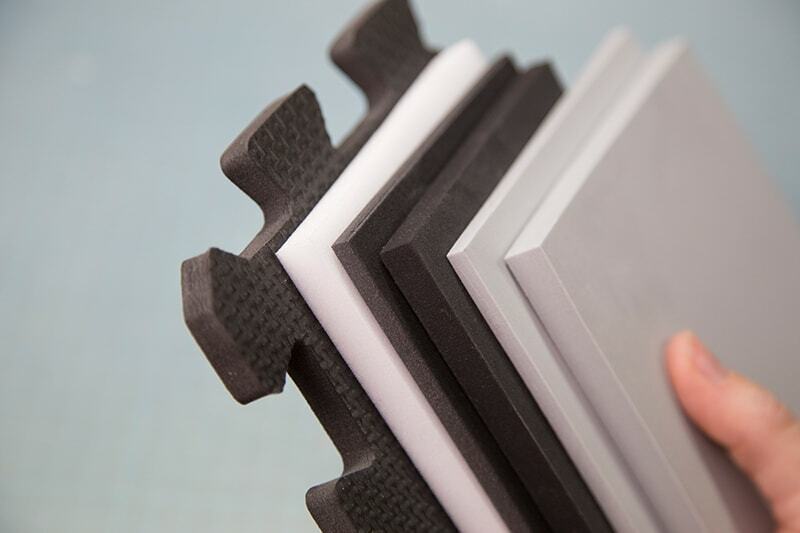 In general, there are a million different kinds of EVA foam in various thicknesses, colors, densities and chemical compositions. The most well known is probably cheap puzzle foam mats, which you can easily find on Amazon. They are around 10mm thick, come in a puzzle shape of 60 x 60 cm (24 x 24 inches) and have a rough texture on one side. They are the cheapest version (6 mats for 23$), but it will cost you extra time and effort to built something (since you might have to get rid of the texture again). 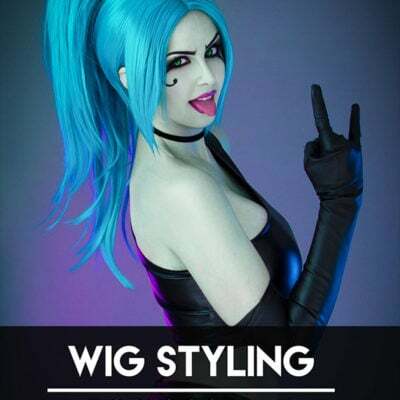 My personal favorite is high density EVA foam, which you can get from cosplayshop.be, a crafting shop in Belgium – they also ship the US btw. I heard the cosplay foam from TNT Cosplay in the US is good as well, but since they don’t want to sell me samples, I don’t know for sure. This material comes in 10, 5, and 2mm sheets, is smooth on both sides and a lot more durable compared to other EVA foams. 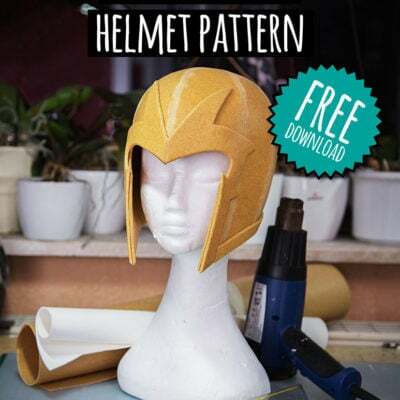 The largest size and thickness actually costs 60€/65$ for a sheet of 2mx1m, but it is already enough for a whole armor costume! Smaller sizes come a lot cheaper of course. That’s surely a bit more pricey than the cheap floor mats, but the material already comes smooth on both sides and you have a minimum of waste since you’ll get a single, very large sheet of foam and don’t have to cut away the puzzle borders. Aside of high density EVA foam, you’ll also often find black mats, which are softer. 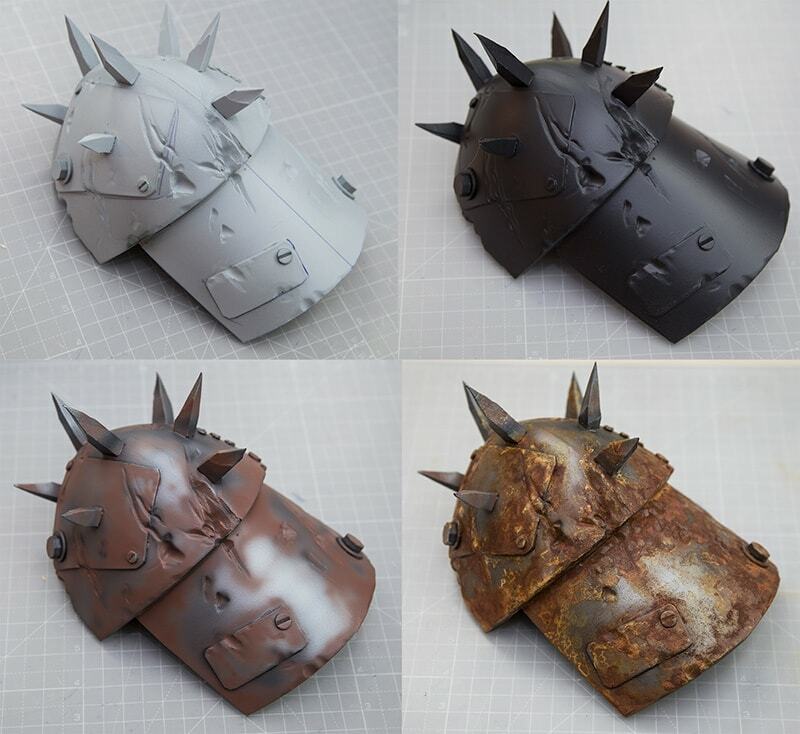 They are called L200 in the US, Pro Foam S from Craftperium (a crafting shop in Germany) or EVA-PE45kg from cosplayshop.be, all pretty much the same products. This foam is cheaper and melts together under heat, though it’s easier to heat shape and is more lightweight. 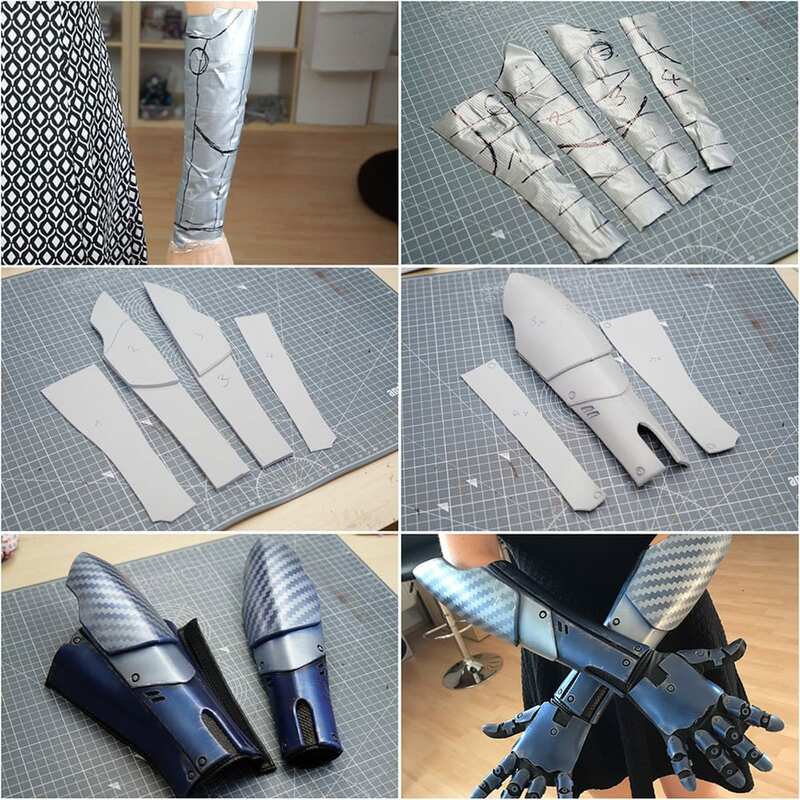 Just the perfect materials for affordable armor costumes! It’s also the black foam you’ll see in the following pictures. As you can guess, you will also need some glue to connect your foam pieces. 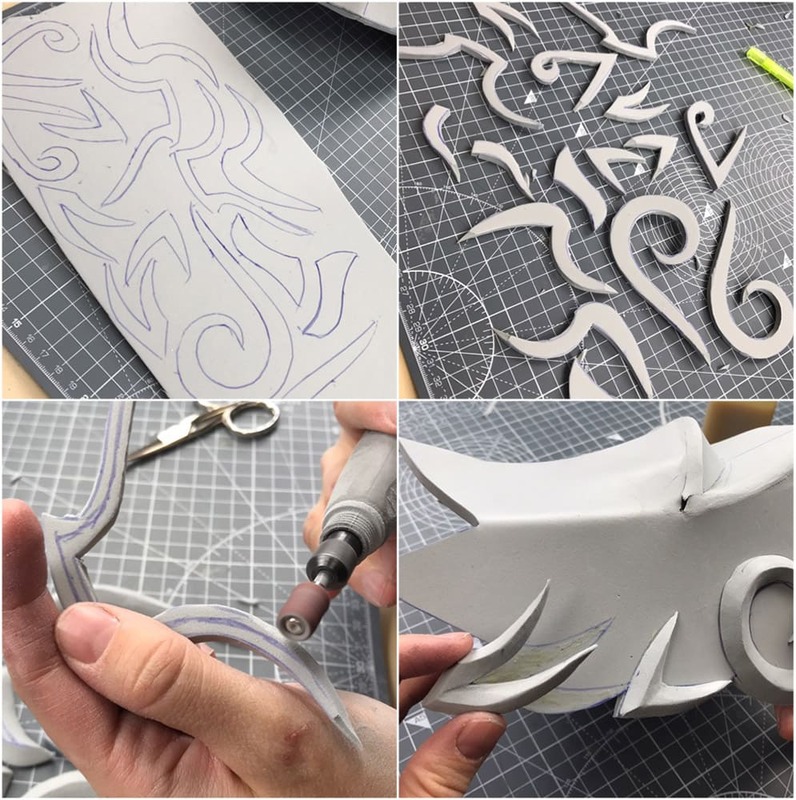 Unlike Worbla, foam doesn’t just stick when you heat it up, but needs a strong adhesive to stay in shape. A common solution is contact cement, contact glue, Kontaktkleber in Germany or Barge (in the US). 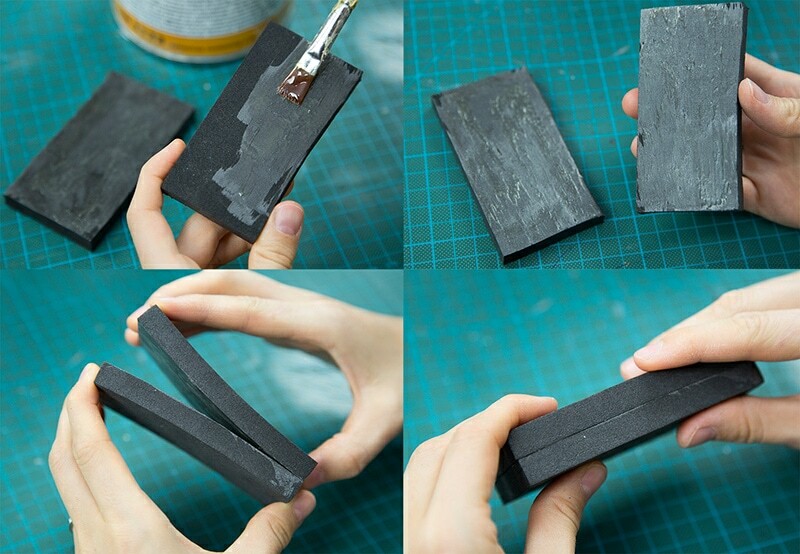 I’m using contact glue from cosplayshop.be. 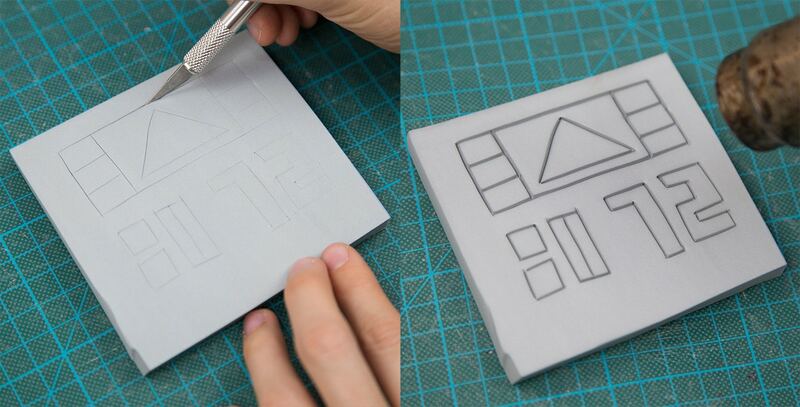 Contact cement is basically a very strong adhesive which you have to apply in thin layers to both sides, let it dry properly and then press both parts together afterwards. Depending on the glue, drying might take a bit longer. Mine dries actually instantly and allows me to work pretty fast. The bond created here might destroy your foam if you try to rip it apart, so work carefully and think about your next steps. Additionally you’ll need some tools to work with foam but nothing fancy: A box cutter and an exacto knife, a dremel and a heat gun. That’s pretty much all! And yes, even if you prefer to build your costumes and props as simple and cheap as possible, these are tools you have to get. They are pretty basic and I guarantee you, you’ll need them for all your upcoming projects as well. I’m actually also using an flex shaft extension, for my dremel which allows me to work more precise. 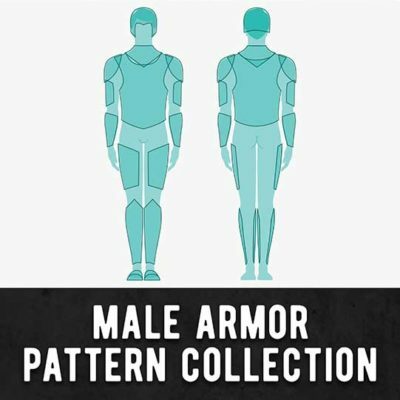 So, wondering now to create an armor piece in general? Well, as always you’ll need a pattern first. I made one for a shoulder armor and adjusted the shape a bit. Afterwards I transferred the template on 10mm black EVA foam, cut it out with my box cutter and covered the edges with contact cement. Once the adhesive was dry enough, I simply pressed both edges together. For a little bit more depth I added an additional layer with a beveled edge and my shoulder was done! Super simple, right??? That’s how I also made the details for the armor of my Monk costume. A better example might be the progress of my Erazer Girl. As you see, I always just wrap myself in plastic wrap and duct tape, draw the shapes I need on, cut them out, glue them together and bring them into shape. 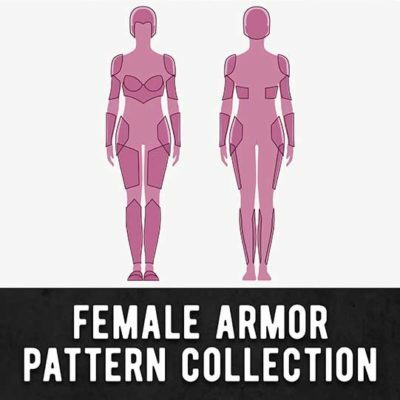 It’s a pretty simple technique, which you can apply for pretty much every armor piece you want to create. And finally here is another shoulder piece – this time with a fancy paint job. I simply applied a bumpy texture with some latex and texture paste, painted it black and rubbed it carefully with the wax paint Rub’n’Buff. The result looked just like metal, despite of being simply foam! You’ll find a more detailed tutorial in my latest Advanced Painting Book! You’ll also find some helpful tips and trips regarding to priming. My current favorite is PlastiDip, which is a spray on rubber coming from the car industry. It’s actually toxic and flammable, so you’ll need good ventilation or have to spray outside. I actually build myself a handy spray booth out of an IKEA closet. Additionally you need some practice to get a clean application (Benni always messes this up!) and using this stuff for a whole armor set might be a bit pricy. A can in the US only costs around 6$, but in Europe it’s more like 16€ (GummiDip is a cheaper German alternative that works great too). You’ll need around three layers so they do not last very long. A cheap alternative is latex milk. It’s a natural product, can be brushed on and is completely non toxic. If you apply it with a brush, you might create little flakes in your priming coat so be careful. If you like to have a super smooth base for your paint job, latex probably isn’t the right solution unless you filter it and spray it on with a critter gun. You also need special colors to paint latex. Something I really like is actually Flexbond, which seems to be a mix of latex and white glue. It’s works basically like simple white glue, though it dries out flexible. This means your paint won’t chip of anymore and you don’t need to worry about cracks in your armor. Clearly a good alternative if you don’t like latex or Plasti Dip. You’ll get Flexbond in Europe from cosplayshop.be and in the US and Canada from cosplaysupplies.com. 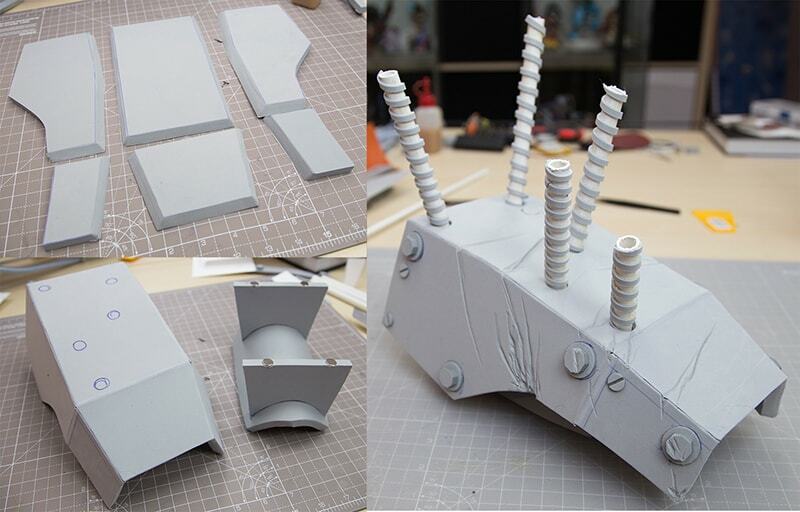 Oh, and this is an armor piece I made out of high density EVA foam and primed with Plasti Dip. Wondering about the cool rusty paint job? My Advanced Painting Book for will help you! 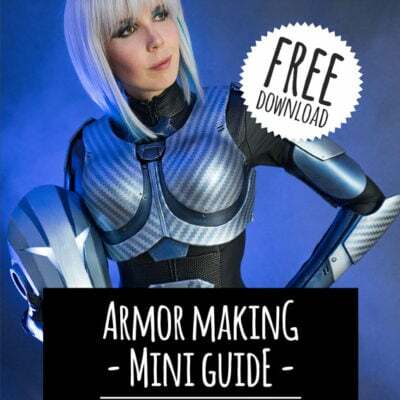 If you want to get more info about costume and prop making, check out my detailed EVA Foam Armor Book, which covers in detail how to find the right material, how to create perfectly fitting patterns for your costume designs, cut, shape, prime and paint your armor and how to attach everything properly to your body! 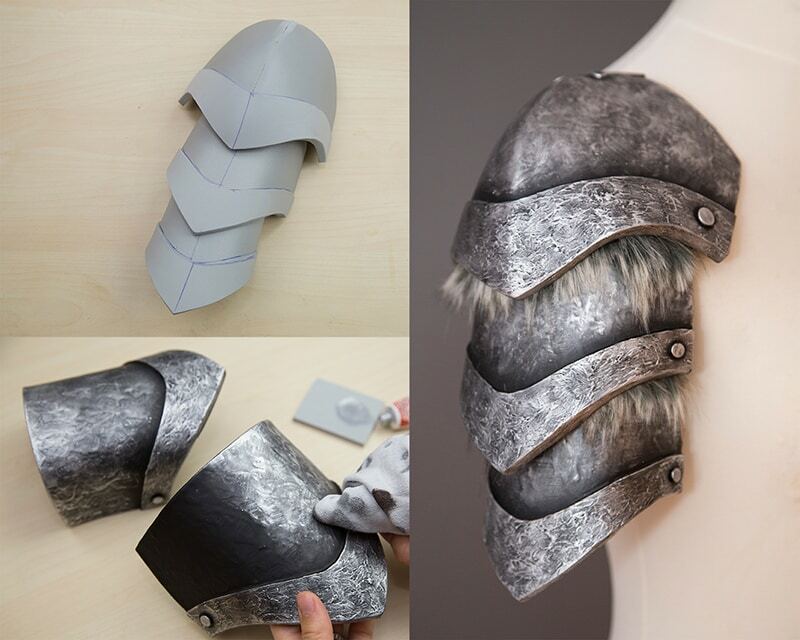 Another shoulder armor (everybody needs shoulders protection!). The shape is completely different, though the pattern is still super simple. I used my dremel to sand down the edges into the right angle and connected all pieces with contact cement. The “metal rods” were just PVC pipes wrapped with 2mm stripes of EVA foam. For an used and realistic look, I also added some battle damage with my dremel on top. 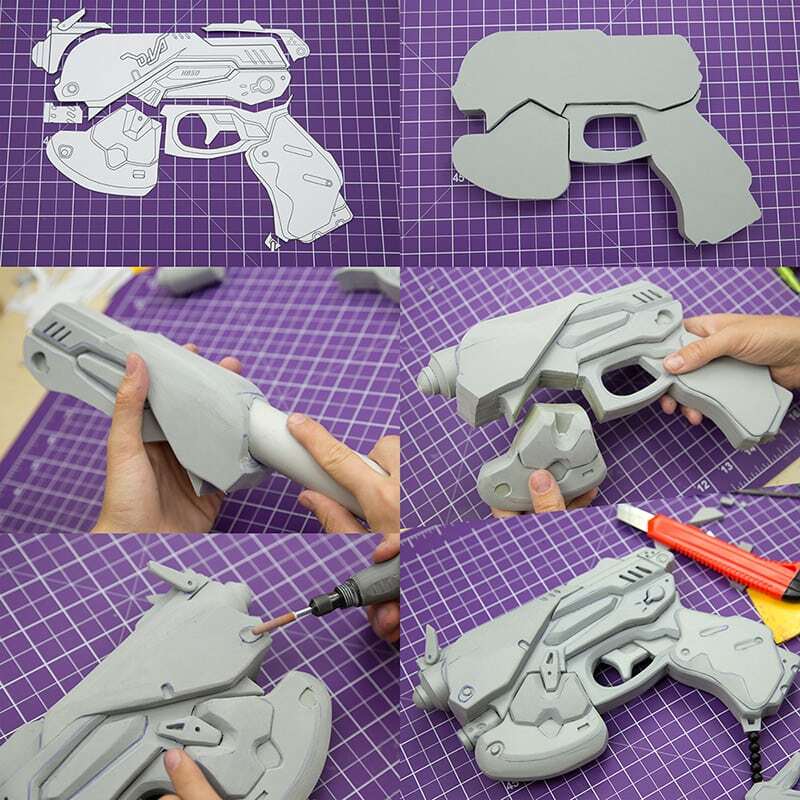 Do you want to learn more about EVA foam guns? I already wrote a book about this topic: Advanced Prop Making – Guns and Rifles. 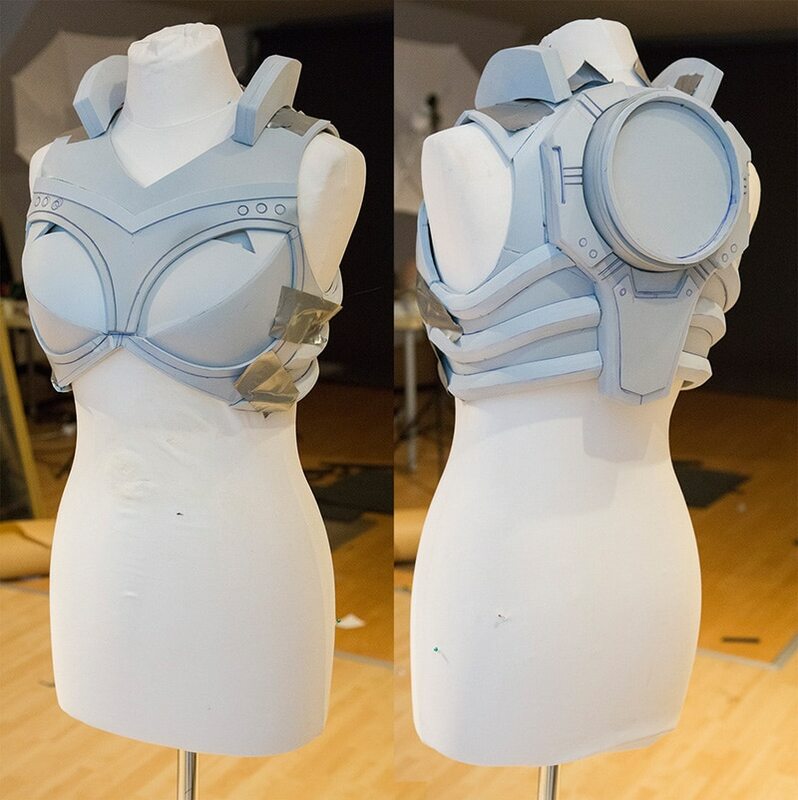 And last but not least, here is an EVA foam breastplate from my already finished Nova costume from Heroes of the Storm. As you can see, it’s quite simple, but takes some patience. Planning a costume or prop ahead of time is always helpful as well. That’s why I always prepare patterns and Benni draws blueprints for me. 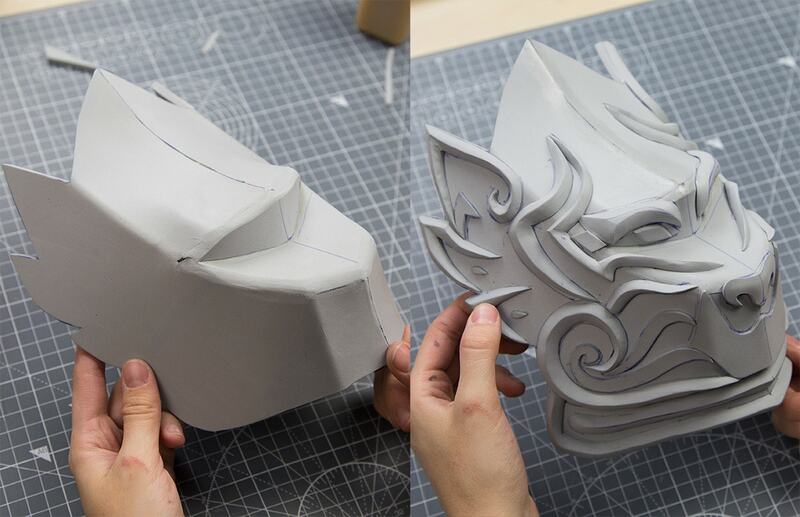 EVA foam is a great material, though you don’t just snip with your fingers and your costume is done. Same goes for Worbla though. Both materials have their advantages and disadvantages, but I hope this posts shows you that some skill and time is enough to create something awesome even with a tight budget.